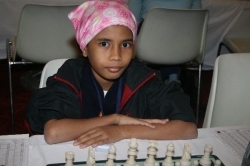 Chingiz Qasimov from Azerbaijan (Under 8), Thanh Thuy Tien (Vietnam, Under 8 Girls), Tong Sen Wang(Under 10, China), Anna Sytyazhkina (under 10 Girls, Russia), Marsel Efroimski(Under 12 Girls,Israel) and Mary Ann Gomes (India, Under 18 Girls) are the remaining 6 players succeeded to win all their games. Please see the notes from round 5 and 6 to find out how they managed to do this at the link below. 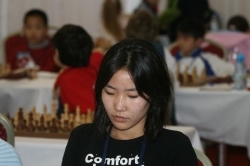 In Round 5 in Under 18 Girls group, WIM Mary Ann Gomes from India continued her winning streak with winning against WFM Anya Corke while Betül Cemre Y?ld?z drew against Nemcova. 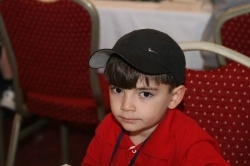 In the Under 18 group, GM Popov won against Samolis, IM Warakowski won against Georgian IM Margelashvili. 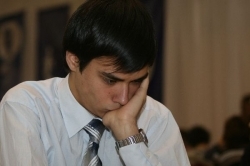 Mexican IM Leon Hoyos made a draw against Russian IM Nakhpaitane. In Under 16 Group, Spanish FM Recuero Guerra drew with Polish FM Piroin and now there is not any single player with perfect score. FM Bregadze won against FM Chirilila while Polish FM Leniart won. 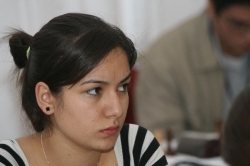 Hovhannisyan also won against FM Krechi. Under 16 Girls group is led by Tsatsalashvili and WFM Repina who were also caught by WFM Girya after she won against Ivanenko. 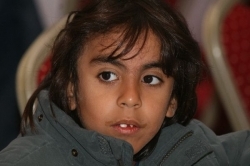 WFM Ton is another player who is 4.5. In Under 14, Sethuraman and FM Robson drew while IM Sjurigorv won against Kanarek to take the sole lead in this group. FM Ter-Sahakyan, Wang and Plat are also sharing the second place with 4.5. In Under 14 Girls group, WFM Paikidze won against Mohana to make it to the unshared first place followed by WFM Danelia, Camacho, WFM Nguyen, Adamowicz and WFM Arabidze. 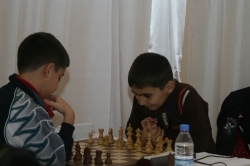 In Round 5 for Under 12 Boys FM Nyzhnyk won his fifth consecutive game against Monev, while Naroditsky also joined him at perfect score after winning against Srbis. FM Bajarani won against Nakauchi while Emiro?lu lost against Indian FM Sai. In Under 12 Girls, Efroimski is leading after winning all her games, the last one against Galunova while Vujnovic, Ziaziulkina, WFM Iwanow and Eid are sharing the second place with 4.5. 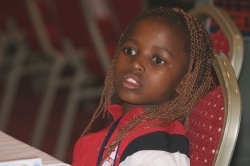 In Under 10 Group, Duda won against CM Le sharing first place with Chinese Wang who won against Gagare from India. 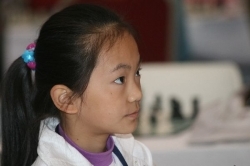 In Under 10 Girls, Styazhkina won against Chiang while she was followed by Khademalsherieh, Aripova, Guo and Xu with 4,5 points. 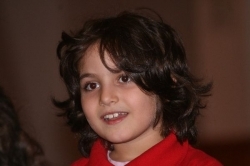 Under 8 group is now led by Qasimov who won against bronze medalist in European Championship from the home country, Volkan Sevgi. In Girls group, Nguyen is leading with 5 followed by Meghna of India who won to her compatriot Furtado. 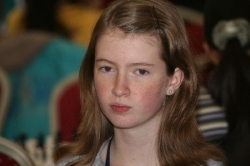 Lesnic from Moldova is also in the firing range for the first place since she won against Marczuk to reach 4.5 points. Left: Simona Liao (USA) Right: Anissa Bellahcene from France together with C.R. 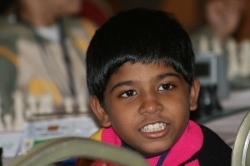 Varsha from India. In Under 18 Girls, Indian WIM Mary Ann Gomes leading with a perfect score has to face Czech WIM Nemcova with 5 while the other players with 5 points , WFM Steil-Antoni and WFM Khamrakulova will face each other. In Under 18 Boys, for round 7, In Under 18 Boys IM Grigoryan and GM Popov made draw to reach 5 points as IM Prujissers and IM Warakowski. In Under 16 Boys, FM Leniart won against FM Recuero Guerra to take the sole lead with 5.5 followed by FM Piorun, Hovhannisyan, IM Salgado Lopez and IM Bogner. In Under 16 Girls WFM Girya won against WFM Repina in the Russian derby the lead while WFM Ton drew with Tsatsalashvili. 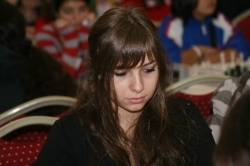 Beridze from Georgia is the other player to join Girya at 5.5 with her win against WFM Melekhina of the United States. Under 14 Girls WFM Paikidze defended her sole lead with 5.5 while Camacho, Adamowicz and 4 WFMs Danelia, Arabidze are chasing her from a half point behind. 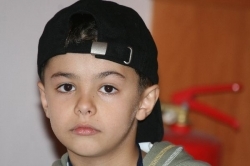 The boys group of the same age is led by IM Sjurgirov with Sethuraman, Plat, FM Ter-Sahakyan, FM Robson and Wang closely following the Kalmykian. 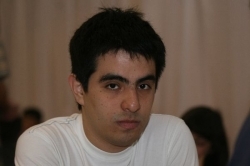 In Under 12 FM Nyhzhnyk lost his first half point against the American Naroditsky while FM Bajarani from Azerbaijan caught him at 5.5. In Under 12 Girls, Efroimski is leading with perfect score followed by WFM Iwanow and Eid with half a point loss. 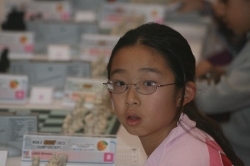 Under 10 is led by Chinese player Wang followed by Prince. They are going to play with each other after which both of them would secure their sole lead. 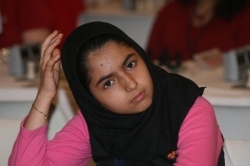 Under 10 Girls is led by Stazhkina with perfect score followed by Iranian player Khademalsharieh. 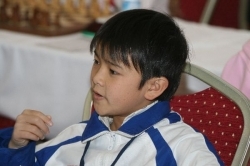 For Under 8, Qasimov from Azerbaijan is leading with the perfect score after winning against Nguyen while Avyazyan from Russia, won against the Maleysian Yeoh. After round 6 of Round 8 Girls, Nguyen leads with 6 points followed by Abdulmalik with 5 points.